• Can heritage, development coexist? The South African government recently announced that it will undertake a massive nationwide route project that will honour the heroes and heroines of the liberation struggle. Speaking at a media briefing on 20 February, home affairs minister Nkosazana Dlamini-Zuma said that the government will unveil a series of monuments over the next few years. 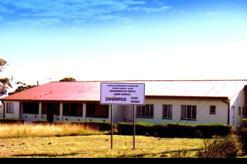 The project’s estimated cost is over R1-billion (US$132.7-million). Zuma said that new museum and historic sites will be built in rural and urban areas. This will include work on numerous historical locations around the country. One of these is the site of the Pondo Revolt of 1960 to 1962, where people of the amaPondo nation were gunned down by police while protesting the government’s apartheid laws. The attack took place on Ingquza Hill near Flagstaff in the Eastern Cape. The nearby Holy Cross Church, which counted Oliver Tambo among its baptised members, is also to be declared a heritage site. Other events to be commemorated in the project include the 1913 Free State protests against the imposition of pass laws on African women – those women were led by struggle heroine Charlotte Maxeke – and the 1957 anti-pass revolt by women in Zeerust in the then Western Transvaal. Winnie Madikizela-Mandela’s home in Brandfort in the Free State where she spent eight years under house arrest will be restored and protected as a heritage site. The graves of Pan African Congress founder Robert Sobukwe, former African National Congress (ANC) leaders Oliver Tambo, AB Xuma, Walter and Albertina Sisulu and Pixley Ka Seme, as well as those of activists Rahima Moosa and Steve Biko, will be upgraded and declared heritage sites as well. According to arts and culture minister Paul Mashatile, the project will help boost local economies and make arts a serious economic player. He said that the local economy can be revitalised by this initiative. “There are massive benefits for people living in those areas where we plan to implement these projects,” he said. Lwazi Apleni, a tourism management graduate, was upbeat about the initiative, saying that it will play an influential role in the tourism industry. “It will bring a lot of foreign tourists and even historians who are interested in the liberation struggle,” he said. Though he acknowledges that the project’s costs are staggering, considering the country has many social issues to deal with, Apleni believes the expense is reasonable as it will sustain the history of the country for current youth and future generations. Apleni suggests that the organisers of the project have a road show whereby they emphasise the importance of arts and culture to the public. “Arts and culture are the cornerstones of every country,” he said. The Steve Biko Centre in the Eastern Cape will be dedicated to the legacy of the man and the Black Consciousness Movement. Amongst its features are a museum, an archive and library centre resource centre, cultural performance and production spaces, a community media centre, and space for retailers. Biko’s home in Ginsberg Township, the Biko Bridge and the Zanempilo Clinic, which was co-founded by Biko in East London in the mid-1970s, will also form part of the centre. The homes of Oliver Tambo in Nkantolo Village in the Eastern Cape, Bram Fischer in Westdene in Johannesburg, and James Sebe Moroka in Thaba Nchu, Free State, as well as those of Lilian Ngoyi and the first ANC president John Langalibalele Dube, will be showcased on the nation-wide trail. The Bhambatha monument in Greytown, where Zulus rebelled in 1906 against the establishment by colonial authorities of a poll or head tax, will also form part of the initiative. 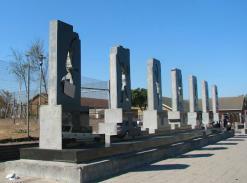 The Matola Raid Monument and Interpretative Centre will also form part of the trail. Commemorating the 1981 raid by the defence force on ANC safe houses in Matola, Mozambique, the structure is under construction and will be completed in July 2012. Existing sites such as the Wesleyan Church Hall in Waaihoek, Mangaung, as well as the Gugulethu Seven Monument, which honours seven young victims of a security forces ambush in 1986, will be refurbished before they are unveiled. The former building is said to be the birthplace of the ANC, as the organisation’s first meeting took place there is a hall at the back. What makes you a true South African?